Product #6147 | SKU FSC-385 | 0.0 (no ratings yet) Thanks for your rating! 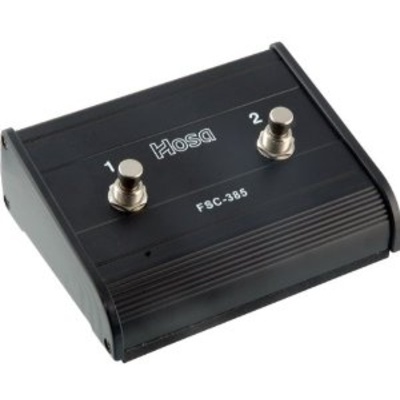 Hosa Dual Latch FootSwitch (guitar-style). This is a dual latching footswitch, for controlling 2-channel external devices. It is equipped with with a single 1/4" TRS (stereo) jack, requiring a 1/4" TRS stereo/balanced cable in order to work properly. The latch mode requires push on/off operation.